Globally, there is an increase in the percentage of Millennial workforce, and by 2025, it is estimated that three out of four employees would be a Millennial. This generation has grown up differently, features very distinct traits and learning styles. It comes as no surprise that they need a different learning strategy too. In this blog, I outline who Millennials are and what are their characteristics (traits and learning styles) that would have a bearing on the required learning strategy. 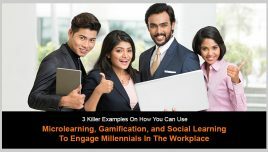 Then I share several tips and strategies that you can use to engage your Millennial workforce. Also referred as Gen Y, Millennials are people born between late 1980s and early 2000s. This is a generation of Digital natives who have grown in the world of Internet, Smartphones and Social Media. As a result, they expect the training delivery to factor for all these and more. What kind of learning strategy would engage your Millennial workforce? Even in the past, L&D teams have handled generational changes leading to a need to relook or overhaul the existing training strategies. (Many of you would recall the transition from Traditional learners to Baby Boomers and then to Gen X and the corresponding impact on the training delivery). What makes this transition more challenging is the stark difference in Gen X and Gen Y in the way they work, collaborate, interact and hence the way they want to learn. The table here captures the generational change very succinctly. 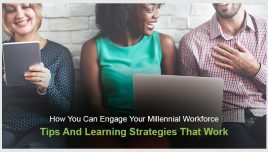 As I move on to share some tips and best practices you can use to engage your Millennial workforce, you will see how I have used cues from Assets, Motivations and Preferred modes of communication. What are the key behavioural traits of Millennials that should be factored for as you identify the right learning strategy? How different are the learning styles of Millennials from those of older generations? 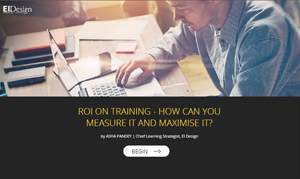 They are keen to invest on learning as this would help them grow at work. They like to explore things by themselves rather than being told to follow a rigid learning path. They don’t like taking orders and stay away from prescriptive or preachy style of teaching. They want to be in a work environment that encourages them to voice their opinions. They don’t like to be pressured, want flexibility and seek channels to express their creativity. They seek attention and focus more on personal care. They tend to seek out only concise, relevant information and usually omit detailed supporting information. They enjoy being part of group-based activities. They enjoy active participation and experiential learning. They want rich media to visually aid their learning. They prefer to learn from real-life scenarios and experiences, as they find them easy to relate to and apply. They are very comfortable with technology and relate to interactive learning formats that involve the use of multimedia. 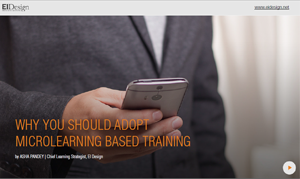 What are the tips that can be used to design Millennial-centric training programs? Courses must be mobile-ready (must be accessible on Tablets and Smartphones). 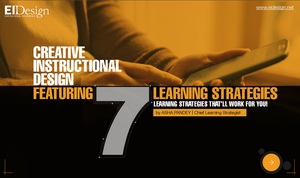 Deliver the learning in short, bite-sized nuggets that are fun to go through. Learners must be able to access the training material within their workflow (rather than having to sign up on the LMS). Information presented in the course must be easy to go through, review, relate to, and apply. Learning outcomes should be precise and defined clearly. 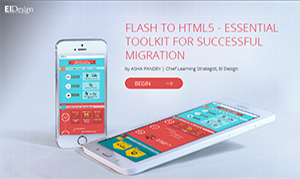 Deliver the learning in high-impact formats that would keep them hooked. Integrate Gamification elements to engage and motivate as well as impart ‘a sense of reward and recognition’ in learners. Leverage on Social or Collaborative Learning to foster a learning environment beyond the formal training. Offer Personalised Learning Paths so learners can have the flexibility to ‘pull’ what they want rather than be ‘pushed’ towards what you think they are supposed to learn. Give the learners opportunity to contribute by leveraging on content curation. What are some strategies you can use to engage Millennials at your workplace? Here is my list of 8 Millennial-centric strategies you can use to engage them at your workplace? 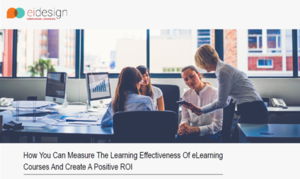 Leverage on mLearning or Mobile Learning. Break down huge chunks of information and deliver them as Microlearning nuggets. Allow room for Personalised Learning Paths in both, Formal training as well as for Performance Support. 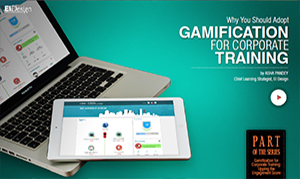 Use Gamification elements to boost learner engagement. Use Videos and other rich media formats to deliver the learning in bite-sized nuggets. 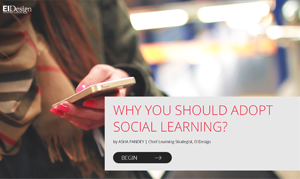 Use Social Learning with curation (as an extension to primary learning). Leverage on Wearable Tech to supplement the learning. I hope this blog provides insights on your Millennial workforce (who they are, what makes them different, what are their characteristics and so on. I recommend you use these pointers to create an effective learning strategy that would engage them. 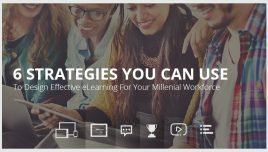 Want more insights on how to design Millennial-centric eLearning courses or uplift your existing eLearning courses so they resonate with your Millennial workforce?